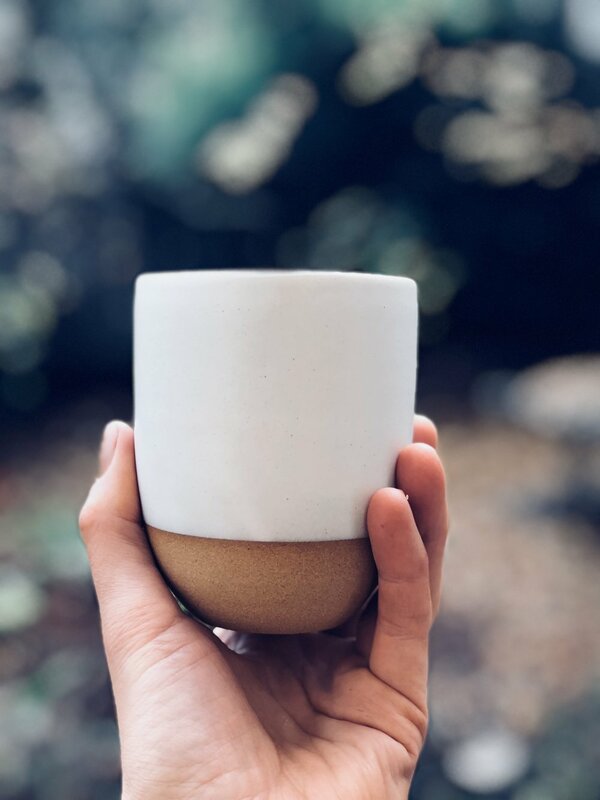 Some of the ceramics that I produced in December were made from a batch of clay which I later learned had an issue, causing some pieces to exhibit a crackling pattern in the glaze (you might have noticed this if you used your cup for coffee or red wine). The crackling occurs due to an imbalance in the clay-glaze "fit". Simply put, the clay shrunk less than the glaze during the cooling process in the kiln, causing the glaze to crackle. Unfortunately this isn't always immediately visible, and it pains me to say that I did send some cups out into the world with this problem. Quality is so important to me and I would like to replace your cup if you have experienced this problem. I appreciate your understanding! If you received a plain white cup in the photo above or if you have experienced this problem, where can I send your replacement cup? Yes! I attended Lee's December 16 workshop in NY. If you are filling out this form for your self and one or more friends that attended the workshop with you, how many of you received the plain white cups or experienced the crackling issue? Thank you! I will be making a batch of replacement cups later this month. Once they are ready I will send them out to those of you who filled out this form!